Isa 5:26 The LORD raises up a flag for the nations far away. With a whistle he signals those at the ends of the earth. Look, they are coming very quickly! Isa 5:27 None of them grow tired or stumble. None of them slumber or sleep. The belts on their waists aren’t loose or their sandal straps broken. The nations are under His Control, and he can call whoever He pleases to execute His plans. Isa 44:28 He says about Cyrus, “He is my shepherd. He will do everything I want him to do.” He says about Jerusalem, “It will be rebuilt.” He says about the temple, “Your foundation will be laid.” Did it happen It sure did. God used Cyrus the Persian King to fulfil His plans. He is using President Trump to fulfil His Plans in America. The Banner = the ensign or standard or flag used by an army. God raises the Standard for War. Every battle is under His Control. v.26c With a whistle he signals those at the ends of the earth. 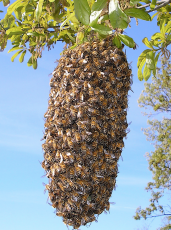 In Syria and Israel the Bee keepers whistle with a flute to lead out and army of bees. [Those of the ends of the earth] may mean China or Japan or SE Asia? When God calls them they will come. Note: the Condition of those who are summoned to the destruction of Jerusalem in OT. They are BOLD, BRAVE young men unwearied by the Long Journey. They had not relaxed and they were fully prepar-ed. 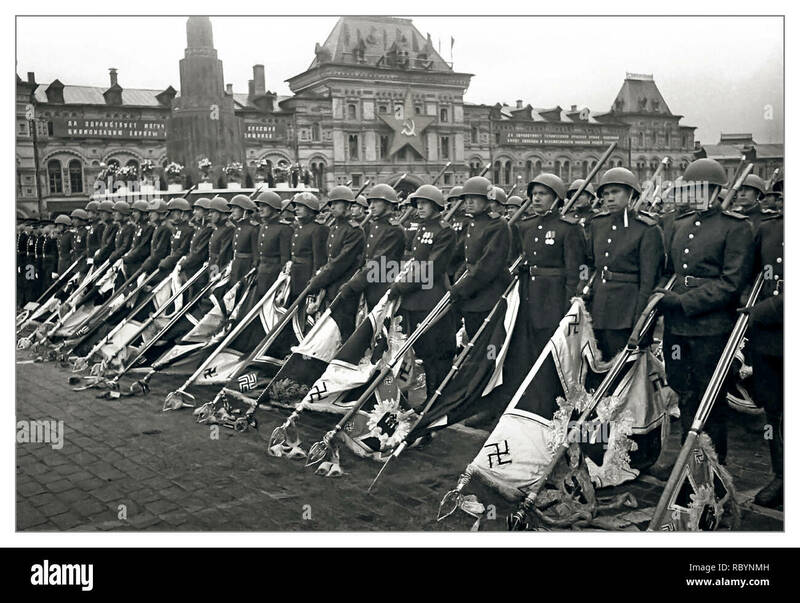 Victory Parade in the RED Square in 1945. Previous Post Isaiah 5:24-25 The LORD’s ANGER burns against the lawless and Spurners of His Word. Next Post Isaiah 6:1 Isaiah’s Call as a Prophet of God.